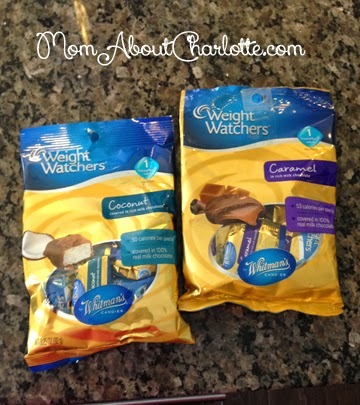 Month three on Weight Watchers posed some challenges. In fact, one week I decided that I needed a break from the non-stop tracking. I didn't go crazy eating though, I just didn't track for that week but went with a mental sense of what I should and shouldn't eat - and isn't that the point of a lifestyle change like this? That week I lost about 1 pound, but I felt any loss was a win. Weight watchers is work, but I'm finding that the work is worth the rewards. I feel like I want to randomly break out in dance (so if you see some crazy lady dancing in the aisles of Target it's probably me), and get down on the floor with my kids - I feel lighter on my feet (because I am) and I'm really feeling my body and the power in my body. I'm also noticing changes in the mirror and in my clothes. This month I worked out a lot. I would drop my daughter off at pre-school and hit the YMCA. There was a great booty-shakin hip-hop dance class on Mondays, a knock me down and out intervals class on Tuesday, and a high energy Zumba class on Wednesday that I rotated through. I pretty much rested or took walks the rest of the days. I was feeling the work outs from head to toe. I also worked out at home on my dance pole which has helped me improve my upper body strength. I even 'taught' an intro to pole dance class for some friends in my home - which was a lot of fun, but even more laughs. I was excited I was able to do some core strength moves I hadn't been able to do before. I felt really frustrated for portions of this month because the weight was coming off SO SLOWLY - or at least it felt that way for all the extra work I was putting in at the gym. Ultimately in my last month I lost an additional eight pounds for a total of 30 lbs in three months. I did it. 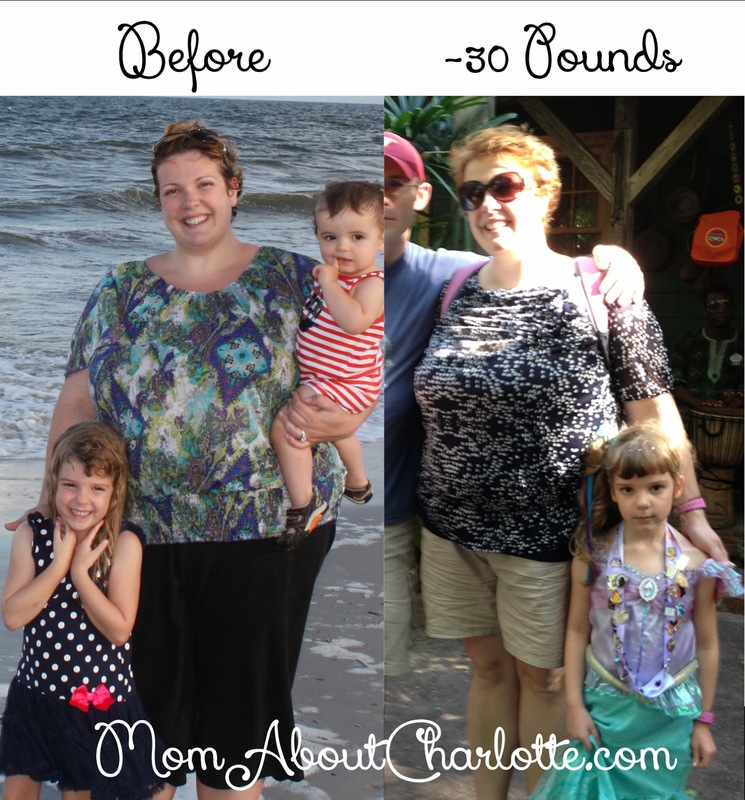 Not only did I lose the baby #2 weight, but I lost the amount of weight my son weighs! I let that sink in and have felt very accomplished. However, there is MUCH work to still be done and more weight to be lost. Each day is a process - and some days feel like a battle. I'm glad I have my arsenal of helpful Weight Watchers tools, facebook support groups and my wonderful family to support me in my goals. Here is my before and after three months picture. Not a huge difference, but I'm noticing a change and that's the most important part for me. Now I have to pay out of pocket for weight watchers and I'm all signed up and ready to go. I'm paying a total of $65 for the first 3 months of online only access, which in my opinion is a bargain! 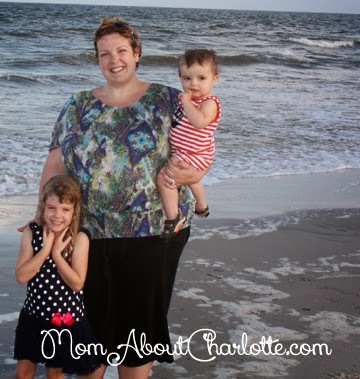 I'm planning to continue to blog about my weight loss experience, because it's a great way to keep me accountable. I also want to show that I'm no one special - and that anyone can work toward their weight loss goals with the right helpful tools. This year for Thanksgiving we wanted to make sure our family was giving back to our community. We are so blessed, and there are so many people experiencing truly difficult realities. We want to instill a sense of appreciation and service to our community in our children. We started talking to our 5 year old about Thanksgiving and all that we have to be thankful for and how we were going to include her in giving back. 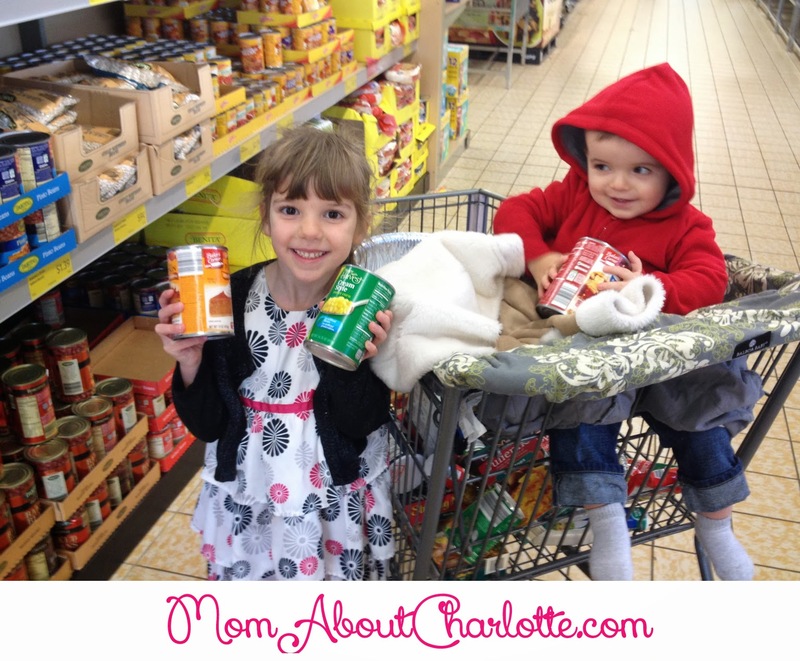 We discussed how there are many families who don't have important things they need, like food, for the holidays. This is a concept that I'm not sure S completely understands, because she's never experienced any true need. 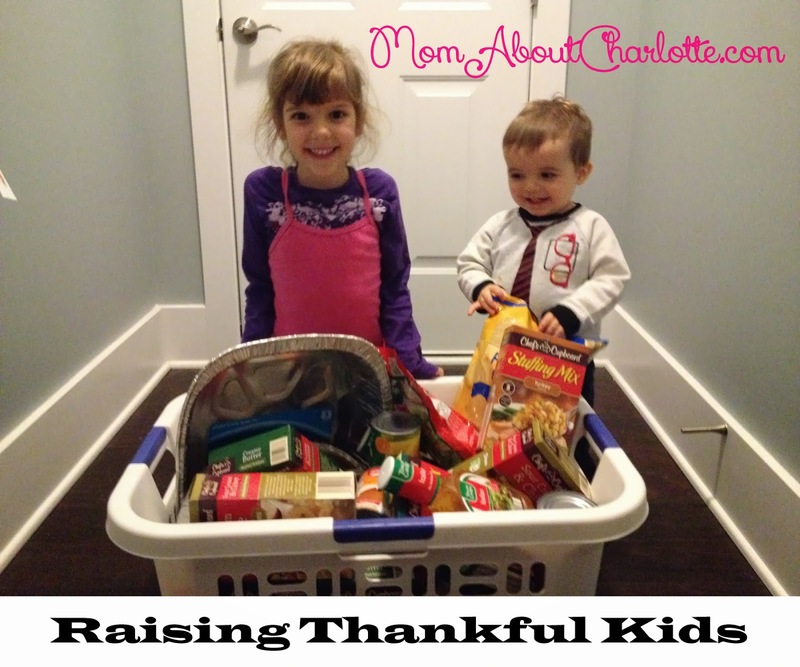 I loaded the kids up and we went shopping for non-perishable Thanksgiving food items. I let S help think of all the foods eaten at Thanksgiving, and she picked out which we should purchase. She was very proud that we were going to help a family in the community to have a Thanksgiving Dinner. We also purchased a rectangle laundry basket to donate with the goods for delivery to local families. We're donating our basket to The Sandbox, a wonderful local organization in Charlotte that locks arms with families whose children are battling cancer or other life-threatening illnesses. They help these families throughout the year by assisting them with the day to day needs that are out of reach because they are caring for a sick child. The Sandbox has many fundraisers and events throughout the year, including the annual 'Evening of Believing' prom that I've lucky to be involved with for the past 3 years. If you want to get your children on board, helping other children with cancer and their families, check out how The Sandbox is helping with the holidays by clicking here. All Thanksgiving donations are asked to be dropped off at one of their 3 South Charlotte locations by THIS Friday, November 15th. No time to shop? You can donate a grocery gift card, or donate $80 to feed a family of 4 and The Sandbox volunteers will do the shopping for you! A baby's first haircut is one of the many milestones anticipated by parents. It marks their growth into toddler-hood as their wild baby tresses are exchanged for a big kid hairdo. I remember my daughter's like it was yesterday, she sat perfectly still and calmly let them cut her curls. My son, however, is a world apart from my daughter - he's 100% squirmy, wild, crazy boy! This caused me to be a little apprehensive about how our first hair cut would go. I decided to enlist the professionals - enter the staff at Pigtails and Crewcuts in Blakeney. The ambiance of Pigtails and Crewcuts is 100% kid approved. The waiting room offers a train table, tv, toys and an art station. Their shelves are filled with two lines of kid friendly hair products including an organic option and other products (and referral source) to deal with the icky situation of lice. They also have hair accessories such as brushes, adorable bows, headbands and more. A basic kids cut costs $18.95 and a first haircut package is $24.95. The Cotswold location currently offers birthday parties and they don't forget about Mom and Dad, we can get our hair cut for $27.95 and $18.95 respectively. Kids sit in a cute assortment of re-imagined chairs that are cabs, fire trucks and airplanes. My son had an immediate smile as he sat in his yellow cab and began turning the wheel with gusto. Our stylist Michelle had E (16 months) wear his cape backwards so his little hand could keep busy on the wheel while she moved with expert precision cutting down his wild mane. The stylists there know all the tricks to keep kids happy and amazingly still. Michelle even included big sister S (5) in the process as she helped distract E and hold his hands, and provide general entertainment. Not a tear was shed. I was amazed. 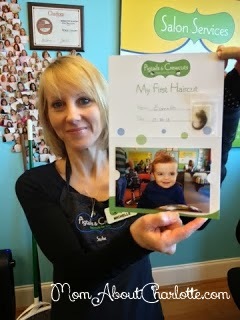 They took a picture of his new, big boy cut and saved a piece of his baby hair for this sentimental momma's baby book. Then it was off to pick a toy from the treasure chest and try his first lollipop. 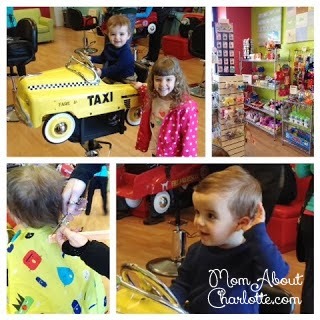 I was very impressed with the experience at Pigtails and Crewcuts and we will visit again as E grows his curls back. Our Disney trip is quickly approaching and with the excitement brings COUNTLESS questions from our 5 year old of 'HOW MUCH LONGER????' I decided that having a physical count down until Disney would make for a fun craft together and a practical way to show her how much longer we would have to wait until we arrived at the happiest place on earth. The construction can be done with any box you have lying around the house. I used a left over cardboard box and an exacto knife to cut out the squares, circles - or if I was really a saint - Mickey Mouse heads! Once they were cut out we let S paint it red. I took white tissue paper and hot glued the paper behind each opening, allowing her to punch out each one day at a time. On the back piece of cardboard, I printed out a picture of Disney World, and all the characters so she will be able to see them peering through as we punched out our count down. We embellished with a Mickey head cut out of foam, and she practiced writing her numbers for the count down. I've just finished my 8th week with Weight Watchers Online! This was my first week with a gain. It was after a girls weekend away with far too many points spent on alcohol, jell-o shots and flannel pajamas coffee. Yes, we were moms gone wild. I tried dancing as many points away as possible - luckily the gain was only 1 pound, but it was still disheartening to see it on the scale. I did work hard to keep the food under control and made sure I ordered mostly salads at dinner. This week I realized how many calories are in salad dressings and ended up bringing my own low point dressing with me. I'm also learning that with me it's all about location, location, location! So I'm repositioning my fruits and veggies in an easy to see, easy to grab and eat location in my fridge. We experienced a family tragedy this week which I still don't have words to describe my sorrow over. I did my best to keep within points but found my heart broken - which I would typically medicate with food for, but I didn't find myself doing that this time even though I was simply heart broken. This week I was down 4.8 lbs and I've met my 5% goal and had to re-determine my next weight loss goal. It was my sweet daughter's 5th birthday this week. My non-scale victory was that I only ate 1 slice of her birthday cake even though the extra cake was calling me from the fridge for 5 days after the celebration was over. I tracked religiously and did some mall walking. I keep re-committing to getting active and getting my heart rate up, but I didn't make it to the gym this week. I'm able to start predicting the WW points that a food is going to be. 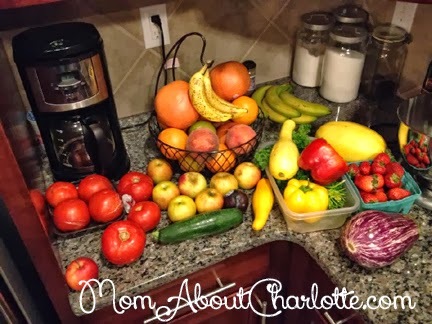 Now that fall is approaching us the fruit options are starting to dwindle, but I'm making sure I'm keeping fresh veggies and tasty fruit always available. This week I'm down 2.4 pounds. I'm making sure I keep fruit at the ready for when I'm hungry. This is majorly important to my success - having healthy food on hand so I don't make high point choices. This week I ate at Sonic. Holy goodness the points were high for that meal, but the thing I love about WW is that there is nothing off limits - AND I DIDN'T FEEL GUILTY LIKE I CHEATED ON MY DIET! I just have to accommodate the splurge with my points and eating and working out for the rest of the week to get the results I want to see on the scale. I also made it to the gym twice and got 12 activity points which I didn't even eat. This week I lost 1.2 pounds. My total weight loss for 8 weeks is 22 pounds. I feel like it's slow and steady, which I'm ok with. My scrubs for work are starting to feel a little loose on me and slowly I'm starting to fit into clothes I haven't been able to wear in a while. I keep telling myself - this is a marathon not a sprint. If I don't see the results I'd like to see I always have next week to tweak it as I see fit. I'm so lucky to have the love and support of my wonderful husband Jim. I'm a member of a Weight Watchers support group on Facebook, and I'm saddened by how many women are harassed by their partners over their weight and the torment they deal with from the lack of support and negative words. I'm counting my blessings he's in my corner and I'm counting the pounds away as I work toward my goal. When are Legos more than just bricks? When they are Bricks 4 Kidz! My 5 year old S and her 7 year old cousin J, joined Laura Porretta at a Bricks 4 Kidz "Amusement Park" themed camp in Harrisburg, North Carolina. This wasn't the first time that I had heard about this program, but prior to trying out the camp I thought to myself "It's just playing with Legos, and S has Legos at home - why would I pay to send her to a program to play when she can do the same thing at home?" What I learned from talking with Laura and watching the kids at the camp, is that Bricks 4 Kidz isn't just about play - they are teaching valuable skills sets - especially those that help kids get excited about Science, Technology, Engineering and Math (STEM). Kids are put into teams and have to construct a project with another child they might not know, allowing them to use social interaction, teamwork, cooperation, and interpersonal and intrapersonal skills. To build the project they need to count how many pieces of each Lego they need, and match each piece to the instructions. They have to follow the instructions step by step incorporating sequencing and organization skills. They connect the small and large Legos helping with their fine motor skills. When they run into trouble - which they will - they use their problem solving and reasoning skills to find a fix and get back on track to finish the project. The teamwork and the determination of the kids was infectious - I wanted to jump in and start building myself! The kids built a swing the day I was there observing, and the swing was motorized - it's not the ho-hum Legos from the 80's! They used a battery pack to bring their creation to swinging life - and the kids were thrilled. After the children had completed the basic project, many didn't want to stop there. They decided to customize it and add extra seats or make it a double swing. It was really fun to watch their imaginations run wild and use the skills they were learning (without realizing they were learning). 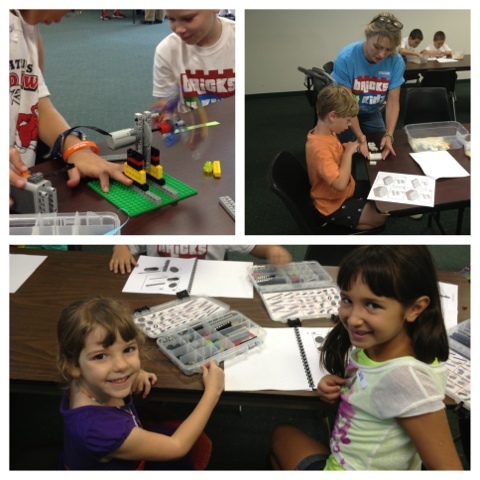 Bricks 4 Kidz offers programs for kids of all ages 18 months - 12 years. They offer them for after school, pre-school, field trips, camps and birthday parties. As a mom and scientist (and lover of the STEM) I was really impressed with the program and all the ways it helps kids learn and grow. S really enjoyed the experience and we plan to enroll her in an after school program to help her develop those important skills, all while having fun. Laura and the folks at Bricks 4 Kidz will be hosting programs all around the North Charlotte area including Harrisburg, Concord, Huntersville, Cornelius and Mooresville. You can check out their website by clicking here or visit their facebook page by clicking here for updates. Cost is about $12 for an hour after school class. But you'll look sweet upon the seat of a bicycle built for two - or six if it's a surrey! 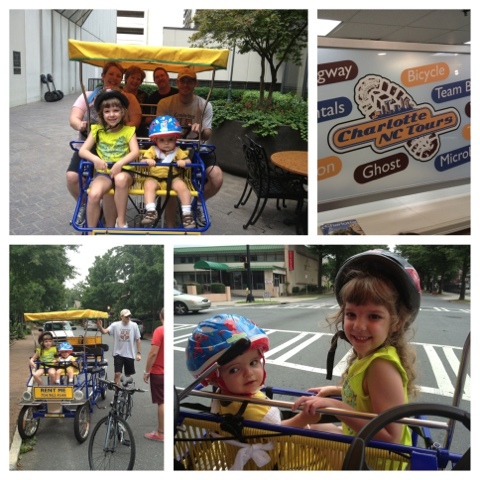 We'd been hoping to go on a guided tour of uptown Charlotte again, previously we'd done a segway tour with Charlotte NC Tours and it was a great time. A guided tour is a wonderful way to get to know the city better, learn some history and have fun. Unfortunately the segways aren't kid friendly. Luckily Charlotte NC Tours offers surrey tours so the whole family can enjoy the experience together. The kids got to ride in the front seats (I brought an additional belt strap and shoulder strap to keep our 1 year old fastened in). They donned helmets and were ready for speed! Grandma and Grandpa manned the back seats while my sweet hubby was the captain at the steering wheel and brake. I sat shot gun with my faux wheel that I treated as though it had true steering powers. And we were off - our guide Jordan kept us safe from traffic when we were crossing over on the busier roads. He also helped keep our speed up around corners and literally pushed us up a few small hills. The surrey doesn't have gears so the hills would have been a bit tricky without Jordan-power! He had some great stories and shared many tidbits about the city we didn't know as we cycled through through the 4th ward. It was a lot of fun, and a little bit of a work out! The kids laughed and our daughter squealed through a huge grin "We're going SUPER fast!" Our 1 year old was taken by all the sights and did his job waving to on lookers. If you haven't been to the 4th ward it is worth a tour. You'll discover interesting facts about the antique homes built there, can enjoy the lush parks, shallow fountains and general southern charm of the area. Charlotte NC Tours offers segway tours, walking tours, bike tours, van tours, relocation tours and of course surrey tours for the family of the 4th ward and many other areas around Charlotte. Father's Day was fast approaching, and buying for my husband is a difficult job. I wanted to get him something that was cute and personal and that the kids could have a 'hand' in making. 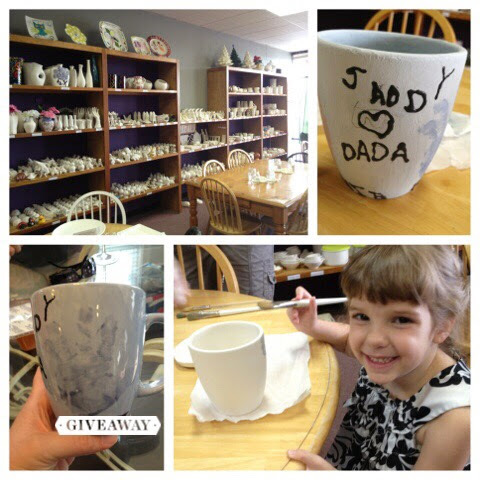 I brought this dilemma to Clay Escape in Fort Mill, SC and their answer of a hand painted mug with both kids hand prints on it fit the bill. Bonus - it was fun for the kids to create. We picked a coffee cup to paint. S who is 4 painted it like a pro and E who is 1 watched on until it was time for both of them to get some paint on their hands and make it super special for their dada/jaddy. The cost was about $20 all told after taxes, but they offer a large range of items and prices from tiny trinkets up to large platters. All fully customizable one of a kind fun for the family, and a great gift for Dads, Moms, Grandmas and Grandpas. If your kids are bouncing off the walls at home this summer bring them to Sky High Sports where that behavior is encouraged! If you're looking for a new kind of jumping adventure, guaranteed to elicit smiles and really great naps - look no further. Instead of blown up castles and slides, Sky High Sports offers jumping entertainment on trampolines, pits of foam to hop or swing into, dodge ball, exercise classes and an all around hopping good time. You'll see kids (and some adults) with advanced jumping skills showing off their flips and feats of air-borne prowess, it's really something to see. The next time we go back I'm going to try the rope swing into the pit of foam - the idea brings out the inner kid in me. Upon arrival you'll notice the place is huge - there are three different jump areas, one for little kids, and then two others for bigger kids and adults. We visited on a Wednesday afternoon around 1:30 and reserved our jump time online (which is recommended), and mostly had the kids area to ourselves. If you have older kids there is an area where parents can kick back in comfy recliners to read, watch TV and monitor kids on the cams installed in the jump areas. They also offer a large range of food and beverages at their cafe. Sky High Sports specializes in birthday parties and corporate events for bouncing fanatics. 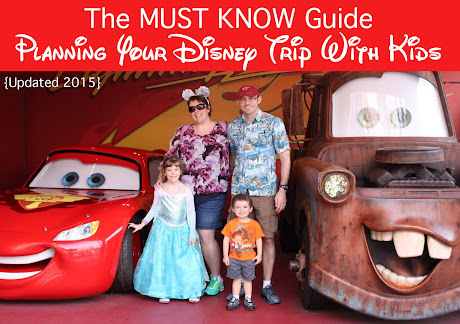 Kids and kids at heart can jump in sneakers or bare feet. 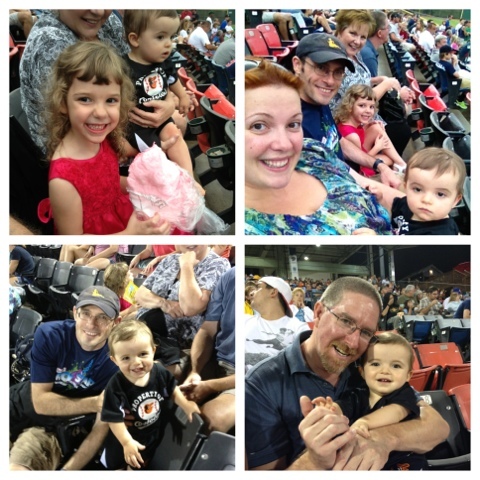 We had three 4 year olds and a 2 year old who all really enjoyed the experience. My 1 year old was too small for it, and I'd only recommend this for kids who are very balanced walkers. All four kids bounced for two hours straight, and loved every second of it. There are employees to watch over safety concerns and guide the kids as they bounce. The cost is $12/hour Fri-Sun, and $10/hour Mon-Thurs and $8/each additional hour. They also offer jump punch cards for a lower per hour fee. A waiver must be signed for anyone jumping. 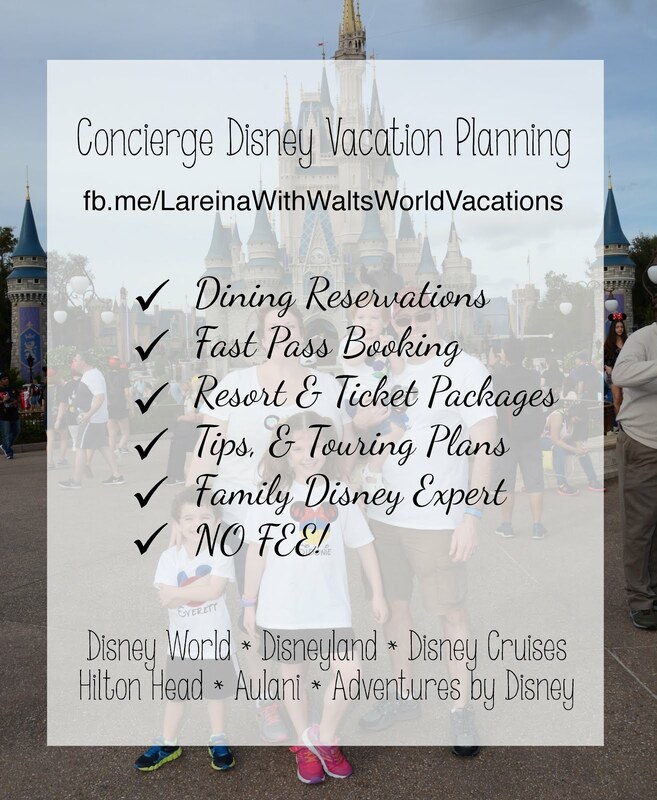 Reservations can be made online up to two days in advance, and are recommended because it can get busy. There is ample parking and is stroller friendly. 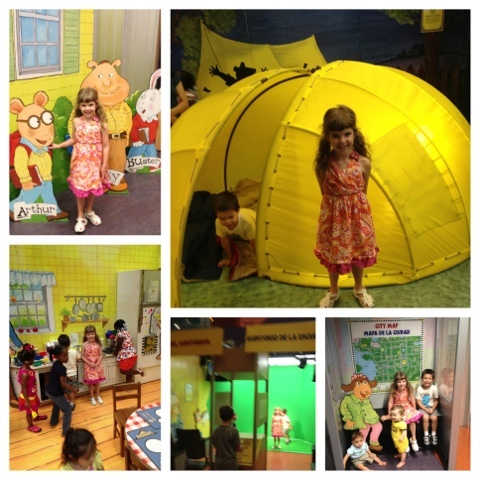 Step into the interactive world of Arthur from May 18th - September 8th 2013 at Imaginon. The exhibit is free and allows kids ages 2-10 to play in Arthur's kitchen, sit in his class room, camp out overnight in his tent, co-star with him on TV and explore the streets of Elmwood city. This is a really cute exhibit and a great way to beat the heat or use as a rainy day activity. The exhibit is NOT stroller friendly and they will make you leave your stroller at the entrance and little ones will have to be carried. Worried about parking uptown? Don't be - there is free parking under Imaginon for 1.5 hours when you have it validated at the front desk. It's important to note if you've never parked at Imaginon that the entrance for the underground parking garage is on 6th St., opposite the main Imaginon entrance. Not keen on driving in? The light rail drops you off right next to Imaginon. While you're at Imaginon you can enjoy the Arthur's World exhibit and also check out some new reading material for the kids. Terriffic Tuesdays offers free shows for the kids every Tuesday through August 6th. If you're like me you appreciate free fun for the kids in a comfortable and air conditioned space. 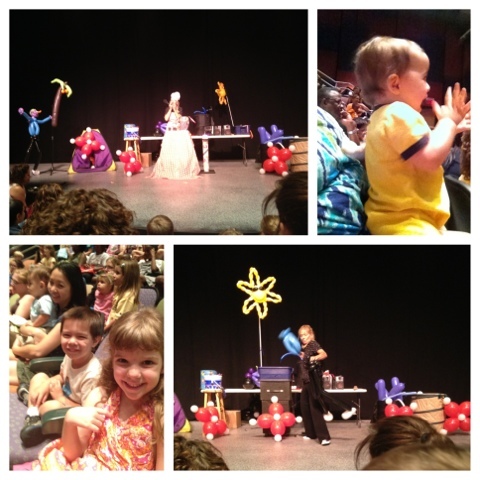 Enter Terrific Tuesdays at Imaginon where child-friendly acts show up to entertain the kiddos in Imaginon's theater. Terrific Tuesdays run every Tuesday until August 6th with shows at 11am and 1pm. The shows range from juggling, to balloon making, to soaring birds and more! Tickets may reserved online two weeks before the show and up to 6 tickets may be reserved per person (even babies need a ticket). Check the website here to view the release dates for tickets and information about the remaining shows. Reserved tickets may be picked up at the will call window prior to the show. Didn't get a chance to reserve tickets? Many people aren't able to make it to the shows and those reserved tickets will open back up for people waiting in the stand by line 10 minutes before the performance. 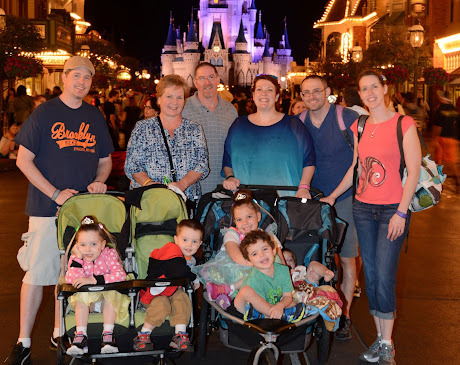 The show lasts about an hour, strollers must be left outside the theater. There is free parking for 1.5 hours available in the parking garage below Imaginon, the entrance for the parking garage is off of 6th. Be sure to bring your parking ticket to the front desk to have it validated. The light rail also stops right next to Imaginon if driving in isn't your thing. When we visited the parking garage was full so we found street parking close by for $2 for 2 hours - just be sure to bring some quarters with you! Fast cars, intense rivalries and turbulent crashes – that’s NASCAR. However; I learned during our trip to the NASCAR Hall of Fame in Charlotte, NC there is far more beyond that which makes NASCAR so interesting and popular. NASCAR began when bootleggers in the south attempted to run from the law as they distributed alcohol during prohibition, faster cars meant less jail time. The NASCAR Hall of Fame shows an exciting 13 minute movie at the High Octane Theater on the jumbo screen that explains the history of NASCAR that fueled the nation’s appetite for speed. Each person received a hard card which gave us an all-access pass to explore the NASCAR Hall of Fame. We customized our card with the car, driver and helmet at one of the many interactive exhibits. The pit crew area was the kids’ favorite. They pretended to fill the cars with gas, change the lug nuts, and explored the inside of a NASCAR trailer. S especially liked Glory Road where all the cars are displayed, she enjoyed stepping up onto the extremely banked race track. My favorite part of the museum was exploring the marvels of engineering that have contributed to the cars’ speed and safety. The exhibit of crashes left me speechless as we learned that the drivers had survived the wrecks. Many exhibits showed the engineering and safety precautions that keep the drivers alive – from car mechanics, to suits, to helmets – and how it has all evolved over the years. My step-dad, Brian, who is a huge NASCAR fan joined us, and his favorite part was the simulator ride where we got to race against each other. The kids had to ride on our laps because of height limitations. I was glad it wasn’t a ride that could make you sick with motion, it was more like an interactive video game, and was a lot of fun. At the end of the race we got a printout of where we placed – I placed dead last. Apparently driving a minivan is not akin to driving a NASCAR car! Brian also enjoyed the Hall of Honor that paid tribute to drivers and innovators in NASCAR. Parking was easy in the parking garage next to the NASCAR Hall of Fame. 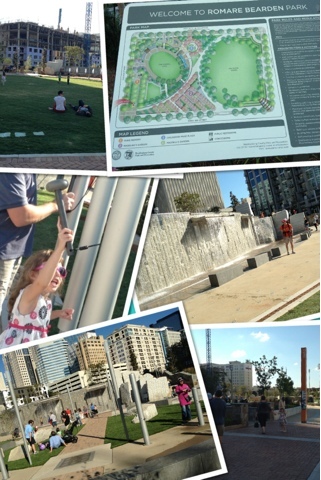 The entire facility is new and beautiful and offers easy access for strollers. Admission is $19.95 for adults and $12.95 for kids 5-12. Kids under 5 are free. The simulator was $5 per ride, or $14 for an all day pass. They have a concession area with food and drink if the little ones get hungry, and it’s located right next to Buffalo Wild Wings. 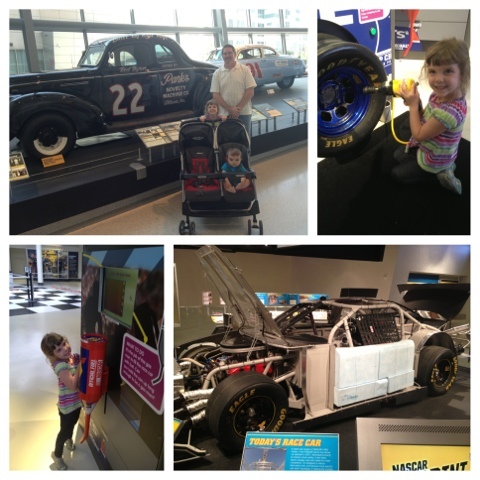 Want to experience the NASCAR Hall of Fame with your family? Enter our contest and win a 4 pack of tickets to the NASCAR Hall of fame! Contest runs 5/18/13 at midnight – 5/26/13 at midnight. The winner will be emailed and announced in the comments below this blog. This week's weather hasn't been the normal Carolina Blue skies, but that didn't seem to put a damper on the festivities at the annual South Carolina Strawberry Festival in Fort Mill, SC. 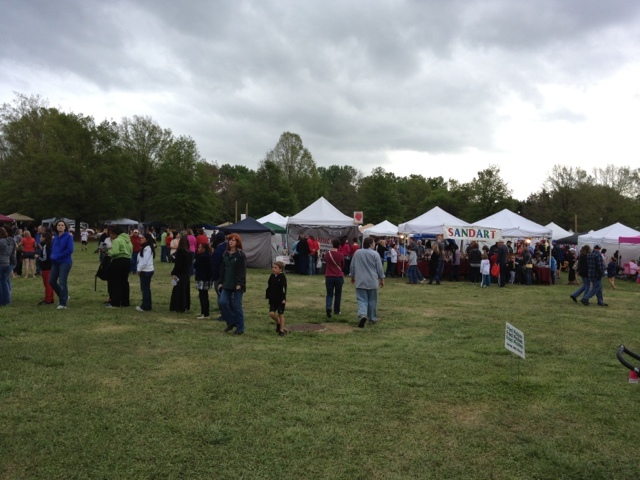 Things were hopping when we arrived despite the looming dark clouds. They had vendors for local businesses showcasing their wares, any fried food you could imagine, music, rides and of course - strawberries (even fried strawberries!). 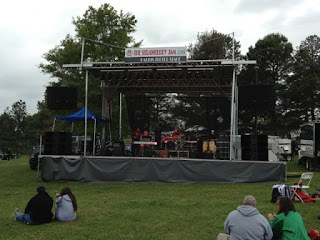 Unfortunately we missed the strawberry shortcake eating contest - something my skinny hubby could have given many of the contestants a run for their money at, but caught several musical acts on the two stages. 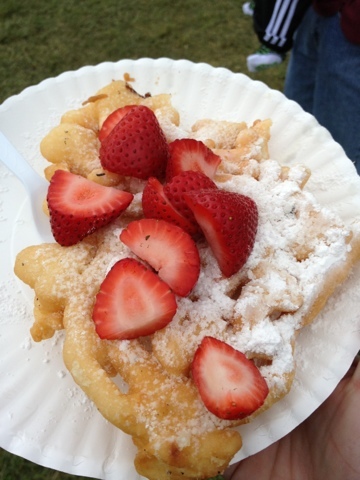 My favorite part was the funnel cake covered in real strawberries that the local girl's softball team was selling as a fundraiser. The parking was either at the high school with transportation by a bus or parking in a field with about a half mile trek to the park. We opted for the walk, which I didn't mind, but we had the moby to carry E in which made navigating the bumpy grounds much easier. I saw many strollers but the parents seemed to struggle as they pushed them around the festival - it's wasn't flat and was still damp from all the rain. The festival is held at Walter Y. Elisha park, so the kids had a large playground to entertain themselves on as they took in the sights. Friday night they offered a $15 ticket for unlimited rides for kids, and there were several events leading up to the festival including a golf tournament, a strawberry pageant for Teen, Miss and Mrs contestants and a strawberry pick and flick (pick-your-own strawberries and a movie). 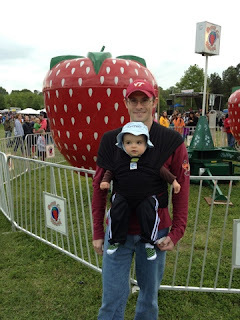 Overall, I'm not a lover of fair-like-festivals. That's just me. If you like fairs, festivals and strawberries, well then this is your ticket - and apparently it's many people's ticket because they broke the 2012 attendance record with over 55,000 attending this year. 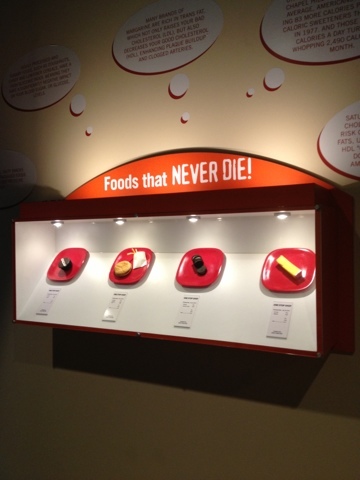 Healthy living comes to life at Discover You in Mt. Holly, NC (about 25 minutes from Charlotte). Discover You is an interactive museum that encourages kids, teens and adults to learn about their bodies, and all the daily influences that can help or hinder a healthy lifestyle. Upon arrival a personalized ticket is created with your age, weight (no one else sees it) and name. 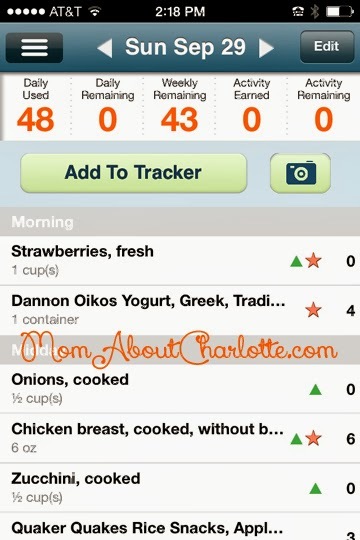 You can use this ticket at different activities to calculate how many calories you've burned. Information can also be sent to you via email for things like smoking cessation, sleep specialists and mind-body-spirit options. They also give a hand out of 'healthy' numbers for your age, like heart beat for you to track as you explore. The giant active heart was my favorite display, when you put your hands on the bar it picks up your heartbeat and echos it through the speakers. S learned that if she jumped up and down while holding the bar the beat went faster. 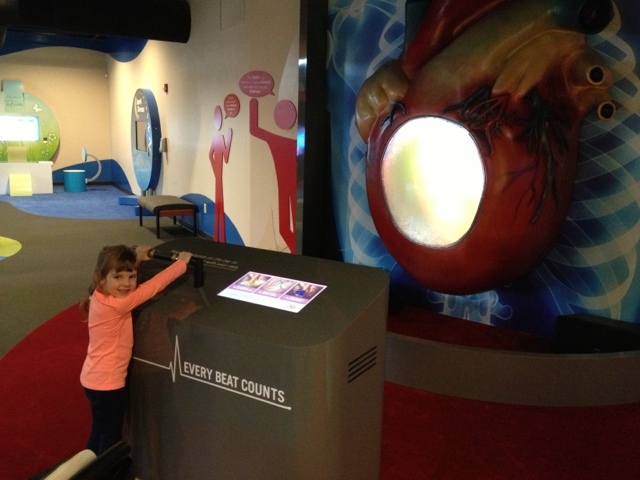 It was a cool way to show how her heart worked and explain why it's so important to keep it healthy. The one display that stuck out for me was the junk food in a display case, there was a McDonald's burger and fries, and Oreo, a Hostess cupcake and margarine from Harris Teeter. All the items had been in the case for nearly 6 months and there was no sign of mold or decay at all - which really got me thinking - if mold can't survive on the nutrients from these items then my family sure can't either, and wow talk about preservatives - not cool! 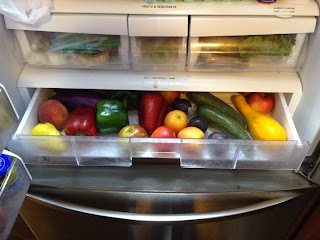 It made me think more about the small changes I could make for my family to achieve a healthier lifestyle. 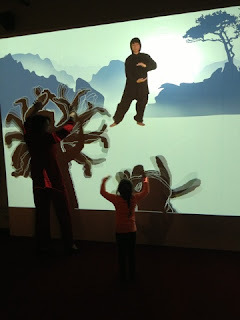 S enjoyed trying the Tai Chi on the large monitor where she could see her "energy" waves as she moved along with the instructor. We also tried the stress game where two people sit with bands on their heads and determine who is more stressed, and then learn about stress reducing options. Then we went for a bike ride through the park with the help of surround screens and a stationary bike - I burned a small number of calories as we sped through. They had a very inspiring display about local folks who had done amazing things after the age of 80, like one woman who published two books in her 90's. It was a reminder that each generation is living longer, and that the quality of our life when we are older will be dependent upon taking care of our bodies when we are young. S (age 4) was a little young for some of the bigger health concepts, but came away understanding more about junk foods and why they are bad for you, the basics to how her heart works and that mommy was more stressed than any of the employees at Discover You. The best age for this museum is 6 years - adult. 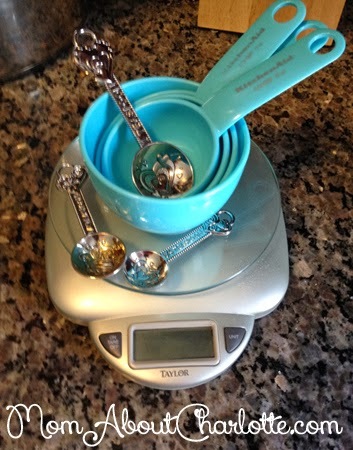 There were some great reminders for me about portion control and how many calories are really in that number three combo. I was surprised how visiting the museum made such an impact on me - and since our visit I've made a pact that I won't get any drive-thru food for the next 30 days and I've joined the Y and have taken several zumba and yoga classes to help with my fitness and mommy-stress. Caromount's Discover You! is open M-F 10:00 - 2:30 and Saturday 1:00 - 7:00. Cost is $5 for Adults, $3 for 5-18 and $4 for seniors 60+. Kids under 5 are free.